Every sports hero has their defining comeback story. For the MVP in basketball, Steph Curry, it’s making those impossible half court shots to win the game right before the buzzer. For NFL legend and former Buffalo Bills quarterback, Frank Reich, it’s winning a 1993 playoff game in overtime after being down 35-5 in the second half. For Serena Williams, my personal favorite who (like the Goonies) never says die, it was her 2005 Australian Open match against Maria Sharapova. Serena found herself on the wrong end of three match points before digging deep to win in three sets. Real estate agents are not that different from athletes when it’s game time. Any number of factors can go wrong during a home sale. Having a real estate agent in your corner means they’ll do everything in their power to get your home sold — a reason why 89% of home sellers choose to use a real estate agent, rather than go it alone. Let’s take a look the percentage of pending sales that never make it to the closing table, the reasons it happens, and insider tips from some of the best real estate agents in the business who have seen it all. How Many Pending Sales Fall Through? Across the United States, real estate agents estimate that about 10-20% of pending home sales fall through. This statistic can range based on your state, county, city or even town. Hard data is hard to come by at a national level. Realtor’s Pending Home Sales Index or PHSI is a great resource if you’re interested in looking at sales indicators for the next couple months but it didn’t help us with hard figures across the US. We wanted to compare apples to apples, so we had to get more granular. 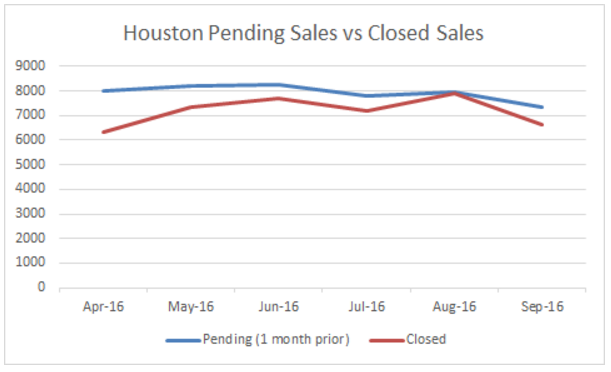 In Houston, we looked at pending and closed numbers for single-family homes over a 6-month period from April to September 2016. The average pending-to-closed ratio over this time period was 10%. This seems pretty standard. One pending home in 10 will fall through. In Northern Virginia, we looked at the pending VS closed totals for the total number of units — condos and houses, both attached and unattached. Average pending to closed sale ratio over this time period was 7%. Not bad at all. 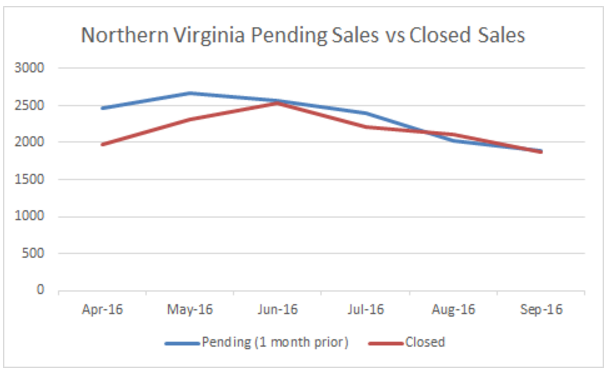 However, what the data also shows us here, is that pending sales may take longer than a month to close. Lastly, in Silicon Valley or Santa Clara County, we compared total number of units sold. Surprisingly, the pending to closed ratio actually turns negative, -5% to be exact. How is it possible that real estate agents are closing on more homes than people are putting offers on? A couple factors could be at play, including a strong seller’s market, a willingness for both the buyer and seller to negotiate until the deal is done, and therefore there’s a longer pending period. The typical reasons sales fall through seem to be less of a burden for sellers in this region. Below, we explore the most common reasons that real estate deals fall through and what to do about them. Solution: The amount the bank loans a buyer is based off their loan-to-value ratio, or LTV. If the house appraises for less than the offer, the buyer could have problems securing the funds they need. When a buyer’s loan application is rejected, it’s usually because the appraisal came back lower than the offer. If the home appraisal comes back significantly lower than the asking price, get another appraiser’s opinion. If you keep getting the same result, you may need to reconsider your price or make other concessions. What are the odds this will happen to you? Thirty percent of mortgage applications are rejected. The best way to keep the sale alive is to keep open communication with the buyer and their agent throughout the process. Solution: This is an all too common occurrence. The buyer is all in for the house, but can’t close until their original home sells. Now your transaction is dependent on another outside force that you have no influence on. When talking to potential buyers, have an open dialogue with them about whether or not they are also trying to sell their home. What are the odds this will happen to you? While we don’t have the cold hard numbers on the percentage of people you might encounter for whom buying your house is contingent on selling theirs, we do have some advice. If possible, choosing a buyer that’s further along in their own process may save you a headache down the line. Solution: Sometimes two parties cannot agree on a fair price for a house. On the seller’s end, their emotional attachment to their home and the memories they created there may give them an overinflated idea of what the property is worth. According to one study, we see our homes as an extension of our selves. They’re so tied to our identities they don’t just represent where we are, but who we are. The buyers, on the other hand, may attempt to place too much emphasis on the house’s perceived flaws in order to decrease the price. This is why having agents working with both parties is absolutely crucial. You need the objective perspective to balance out the individual biases. What are the odds this will happen to you? Botched negotiations are the most common reason that pending sales don’t turn into closed sales. While you may be familiar with old saying that real estate is location, location, location. This is only partly true. Success actually depends on communication, communication, communication. 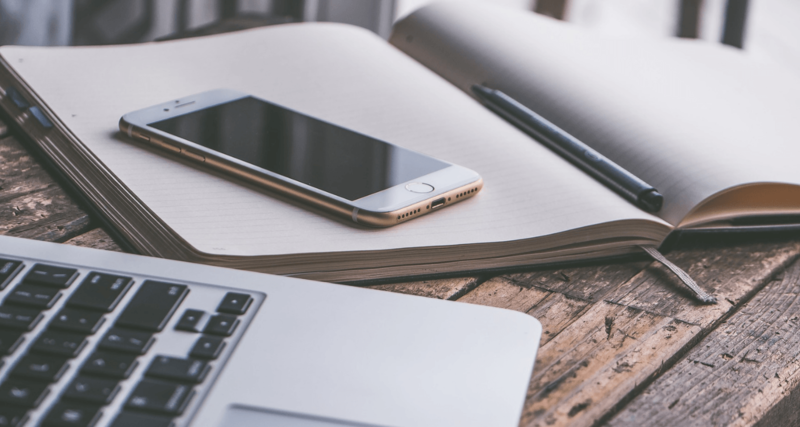 Let’s now take an even closer look at solutions you can apply in your own selling situation by examining stories from the field. If you empathize with the sellers in these situations, fear not. As you’ll soon learn, there are solutions to every seemingly insurmountable selling problem that you may encounter. Sometimes saving the sale means knowing when to let the wrong buyers go in order to make room for the right buyers. Problem(s): The appraisal uncovered some inaccuracies with the property, and the inspection uncovered a big problem prior to closing. Story: Blanchet worked with a seller who listed her property as 3.79 acres because that’s what the county had measured out decades ago, and that’s what she’d been paying taxes on ever since. However, the seller insisted to Blanchet that she only had about an acre. Blanchet encouraged her to hire someone to do a professional land survey. In the time it took for the survey to confirm what the seller already knew — she only actually had an acre — she lost out on three offers because those buyers all wanted the nearly four acres promised in the original listing. After a small battle with the county, Blanchet cleared up the misunderstanding on the record and relisted the property with the correct acreage. Not long after, a qualified buyer came along and they proceeded with the deal. Pretty soon, however, another problem reared its ugly head. The seller had an old septic system and during the inspection, it was found to be faulty. 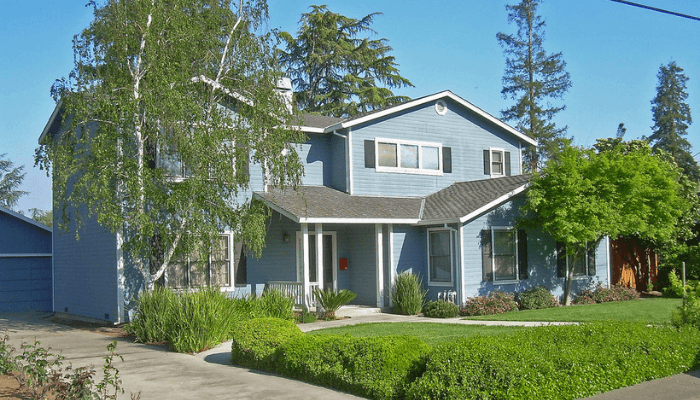 To save the deal, Blanchet recommended her seller put money into escrow for it to be replaced while the buyer was doing their own work to the property. Both the seller and buyers were happy with this arrangement and the deal went through. Blanchet says that the key to making this sale work was simple, but all too often overlooked task: “listening to the client.” She went on to stress the importance of listening in any relationship-based transaction. If she hadn’t listened to her client about the mismarked acreage, much like the county had ignored her for all those years, the seller would have been caught in a seemingly endless cycle of one disappointed buyer after another. The Moral: If it’s not one thing, it’s an acre. If you have any issues or discrepancies with the county, make sure you’re working with an agent who will go to bat for you. Additionally, if you’re selling an older property, it’s important to understand that things can and will go wrong. Set aside a certain amount of money that you’re prepared to put into the house if the buyers ask. It could just end up saving your sale. For some properties, saving the sale means knowing how to get offers on an “unsellable” property. Problem: An inherited house wasn’t getting any offers, even after the heirs invested $200,000 in a remodel. Story: When asked about a time he saved the sale, Gaskins told us about a recent example involving sellers who were trying to sell their family estate after their mother’s passing. One major hurdle right from the get-go was that all the heirs lived outside of the area. They paid a contractor they didn’t really know $200,000 to improve their property’s value. When it was time to list the property, low and behold, the contractor’s wife was an agent. These heirs thought they struck multitasking gold. Unfortunately, it turned out this agent was not very experienced, nor was she working full time. She had only sold one property that year and therefore, didn’t have a strong sense of the market. The inexperienced agent overpriced the home by $100,000 and failed to do any staging or landscaping to make it appealing to buyers. Whether this was due to misguided good intentions or simple incompetence, the result for the sellers was the same: their house sat on the market for one hundred and twenty days with no offers. That’s when the sellers contacted Gaskins’ agency. After his team went out to visit the home, they had the difficult task of explaining where the other agent and contractor came up short. Luckily, Gaskins’ team also knew how to fix it. He suggested the sellers invest in landscaping and drop the price $100,000. Ten days later, with a fully repositioned property, Gaskins sent a team in to take better photos. A couple weeks later, the home closed. The Moral: It’s always darkest before you fix your lawn. Just when it looks likes your property is unsellable, it may be time to get a second opinion. The answer could simply lie in the aesthetics. When it comes to home selling, agents always tell their clients to set their expectations properly. Prepare yourself emotionally and financially for something to go wrong. As Gaskins told us, “There’s not a deal that doesn’t have something that goes sideways.” These issues may seem daunting, but they don’t have to spell disaster if you’re equipped to handle them. If you’re currently in the midst of a pending sale that’s on life support, apply the lessons learned in this piece and revitalize your sale. Talk to your agent about your concerns and if necessary research similar situations to your own. As scary and frustrating as problems with your pending sale might be, remember that you’re probably not the first person to experience them. There’s a solution out there, and a closed sale right behind it. Charlotte is a writer and content strategist in Boston. She holds a B.A. in French and Creative Writing from Denison University and an M.B.A. from Columbia Business School. Her work can be seen in the New York Observer, The Wall Street Journal, Commitness to Fitness, and WriterAccess.